I'm not sure this should be considered an actual recipe but it was good and I enjoyed it so I'm going to share. A few weeks ago, JD and I were browsing in Anthropologie looking for cute matching coffee mugs when we spotted bottles of Bittermilk on a shelf. I liked the name and the packaging and sometimes that is enough to draw you in. Though, you do need to be careful with that, going by the attractive label. That bottle of wine with the fish in the sun chair on it was not a good pick. Nope. Never again. We had better luck with this. We decided on the bottle with licorice since the others sounded a little too easy to make on our own (i.e. basic old fashioned mix). It had a nice sweetness to it, no need for sugar like in an old fashioned. I very much enjoyed the subtle licorice flavor, but I think it's important to use a specific kind of whisky. The one we used is sweet and easy to drink on it's own, so much so that I don't like the way it tastes when mixed with anything (including ice cubes because I'm that kind of girl now). JD had heard when we began experimenting with them that it really does depend a lot on the whisky, that each drink will taste a little different. That certainly holds true in my opinion. 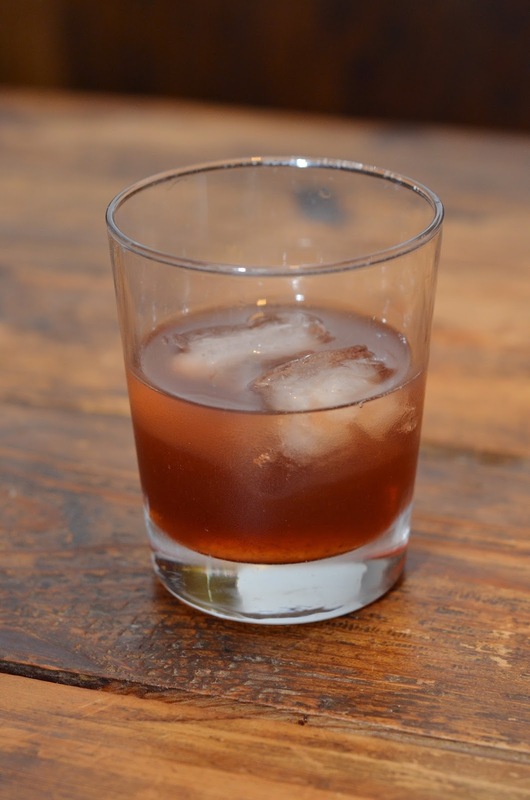 Pour whisky into a tumbler, add a dash of bitters and an ice cube. Stir and enjoy! Looks great! Another winner I'm sure! Go to Whisk- they carry so many bitters and they keep an open bottle of each at the counter for sampling either by itself or in as a sodastream bevage. I'm a fan of Bitterman's Burlesque bitters, but I also just got this quite spicy Thai bitters as well.